For protective atmospheres with automatic dew point control for bright hardening, gas carburising, carbonitriding etc. - Assured results with reliable performance. 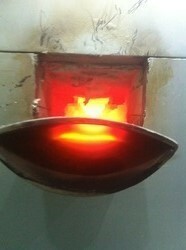 - Furnace for producing cracked ammonia / LPG. - Endothermic RX gas generator with unique smoke-protecting mechanism has earned many good reviews in various fields. - To generate stable gas, this generator is equipped with double-pass retort, special heating device and pulseless blower. Nickel on specially prepared Alumina support. Low Nickel content as NiO. Available as balls of various sizes. Alternate shapes like rings can be offered for similar application. Grey to dark grey in colour. Production of Endo gas for steel treatment. 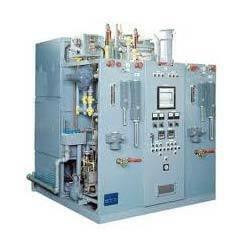 As per the requirements of the customers, we are involved in offering best quality of Endo Gas Generator. This Endo Gas Generator is extensively used to produce atmospheres necessary for the scale free hardening, carburizing and carbon restoration of steel. These products are offered by us to clients at reasonable rates. We offer endo gas generators that are used to produce endothermic gas by the reaction of air and lpg at a high temperature of 1050°c. The catalyst used for the reaction is nickel. Our product comprises mixing unit, cracking retort, and control panel. The heating of the retort is affected by heating element it.